How to Locate and Adjust Low Volume Water Restrictors | Weilhammer Plumbing Co. Inc.
← Why Does it Take So Long for My Water to Heat Up? Low volume restrictors, also known as “flow” or “water” restrictors, are small, disk-shaped barriers that can be installed on certain plumbing fixtures, namely faucets and shower heads, to reduce the amount of water flow for the purpose of conserving water and energy. They are installed in various configurations, and come in numerous brands, makes, and models. Commonly, they are either added as a whole unit to replace a standard flow-directing screen on a plumbing fixture, or built in as a part of the fixture. Now that you have a better understanding of these efficiency plumbing devices, you may have questions about how to locate and adjust them on your own. Continue reading to learn this and more! To remove, replace, or clean a low volume restrictor in your sink faucets, the first step is to close the sink drain so you do not lose any important components in the process. Keep in mind, you need to remember the order of the components as you take them out so that you can put them back together properly. Next, take a look at the end of your faucet to find a screen. Once you confirm there is a screen at the mouth of your faucet, locate the end piece that screws onto the tip of your fixture. If you cannot locate these units, contact a licensed Indianapolis plumber for help. They can sometimes walk you through the process right over the phone! 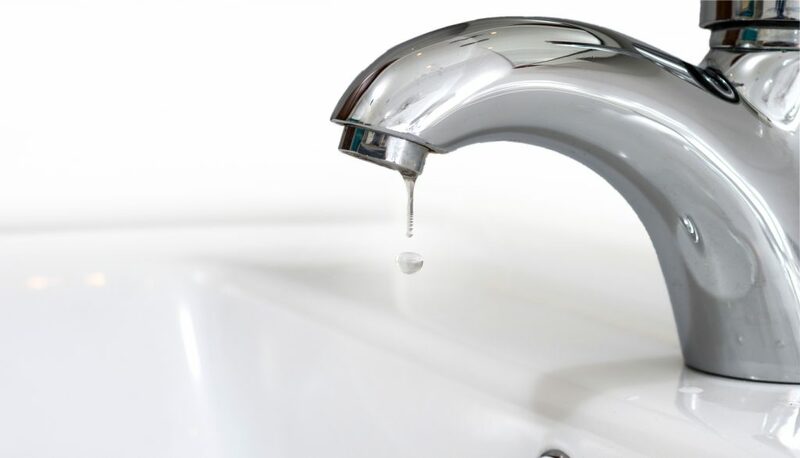 Using your fingers, loosen the small unit at the tip of the faucet by turning it counter-clockwise. If it is too tight, wrap a rag around it and gently use pliers. After the unit comes free, inspect the end of the faucet for the flow restrictor screen. You may need a hand mirror to get a good look. Sometimes the flow restrictors are built in, and other times, they are installed inside a pre-existing unit. Also, there might be a second unit at the end of a faucet that would also need to be removed. Once you have your flow restrictor located and removed, you must choose to clean it or replace it. To clean water restrictors, simply soak them in a white vinegar and baking soda solution; and then use a small needle or pin to push out large deposits. If you are replacing your restrictors, consider upgrading to an adjustable flow restrictor, which allows you to control water flow, volume, and even temperature. Talk to a licensed plumber to learn more about these effective, energy-saving devices! Locating and removing low volume restrictors on shower heads is a more tedious project that requires some experience with handyman work. You will need a wrench, ladder, work gloves, plumbers’ tape, rag, and paper clip. Your first step will be to remove the shower head from the fixture arm. Once you have this removed, look inside the shower head; there will either be a gasket or black O-ring that you will need to pry up with your paper clip and remove. Once you have the gasket or O-ring removed, you should be able to see the water restrictor screen. It should be behind a star-shaped metal piece. Using your paper clip again, remove the screen and clean it, or replace it altogether. After you reassemble your shower head, be sure to use your plumbers’ tape to reseal the connections. Low volume restrictors save a lot of water and energy since they allow less volumes of water to pass through plumbing fixtures, like faucets and shower heads. However, they accomplish this primarily because of their design, which includes a disk-shaped barrier and a small central opening. This opening tends to clog easier and quicker as it accumulates the hard mineral deposits found in tap water. After sometime, these water restrictors can lose performance value, thus requiring cleaning or replacement. Plumbing maintenance is vital, as it is the key to plumbing longevity and dependable performance. Be sure to provide routine maintenance for all your plumbing-related appliances and systems; from as small as these flow restrictors, to as large as your water heater and sump pump. If you have questions about plumbing maintenance or repair, contact a local and licensed Indianapolis master plumber for free information you can trust. Indianapolis Plumbing Service You Can Trust! Call Weilhammer Plumbing Co. Inc. at 317-784-1870 for licensed Indianapolis plumbing service you can trust. We have been in business for over 100 years because we have earned the trust of thousands of Hoosiers all across the city as a result of our professional service and outstanding results. Call owner, Mark Weilhammer, at 317-784-1870 to request a free estimate or plumbing advice, today. This entry was posted in Plumbing Pipes and tagged Indianapolis master plumber, locate water restrictor, Low volume restrictors, remove flow restrictor, replace flow restrictor, take apart sink faucet, water restrictors help. Bookmark the permalink.